If you’ve recently picked up a newspaper, scrolled through Twitter, wiled away hours on the Instagram explore page or spent three seconds reading comments on YouTube, you’ll know that the world can be a pretty dark place. In the past few years, enormous political shifts, social unrest and traumatic events have burdened a lot of people with serious feelings of uncertainty and anxiety. Of course, our hometown suffered one of the worst terrorist attacks to ever hit the UK when a suicide bomber detonated in the Manchester Arena. The sickening and callous nature of the attack has left an indelible mark on the city and, while it was heartening to see the people of Manchester pull together in the aftermath, many of us are still affected by the awful event. Today marks World Mental Health Day. The date seeks to raise awareness surrounding mental illness while mobilising efforts to tackle mental health issues. Manchester has been through a lot, so we wanted to use this day to focus on an aspect of mental health that is still affecting many in our community: trauma. Any trauma can have a huge impact on vulnerable young people. Along with feelings of fear and anxiety, traumatic incidents can affect the way they think, learn, communicate and process information – even years later. They can cause young people to question their relationships and the way they feel about themselves. With the potential impact on young people clear, there has been an extremely positive reaction from the local community since the attack with real feelings of support, resilience and strength evident. In the days that followed vigils were held and “One Love Manchester” took place. Since then, online groups such as the Manchester Resilience Hub have been created offering support to those affected by the Arena bombing. 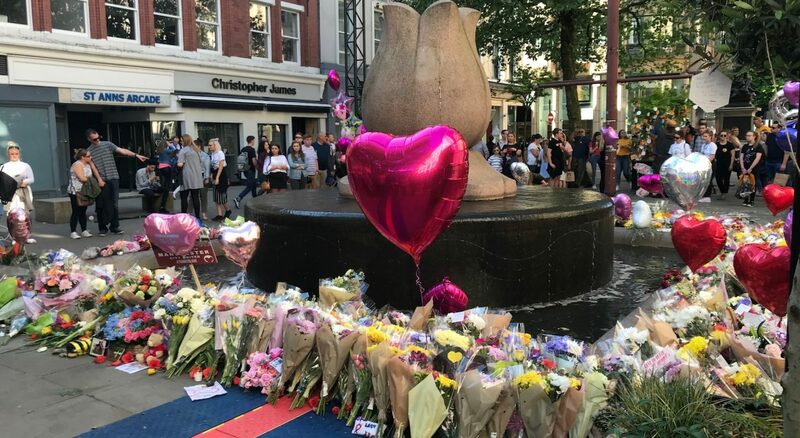 As many as 10,000 Mancunians even gathered earlier this year to commemorate the 1 year anniversary of the attack, marking messages of hope on the pavements of the city’s Albert Square and enjoying uplifting performances from more that 80 choirs. Ultimately, trauma affects different people in different ways, so if you feel that you’re experiencing issues related to a traumatic event, don’t be afraid to reach out to someone you trust; whether that’s a family member, a friend, a teacher or someone at Hideaway.